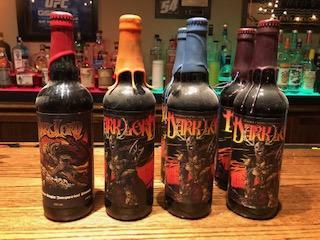 This is a variety of Dark Lord left from my visits. All were acquired personally. I have (1) 2012, (1) 2013, (2) 2014 and (2) 2015. Always stored in a cellar. Ship in bubble wrap for $20.